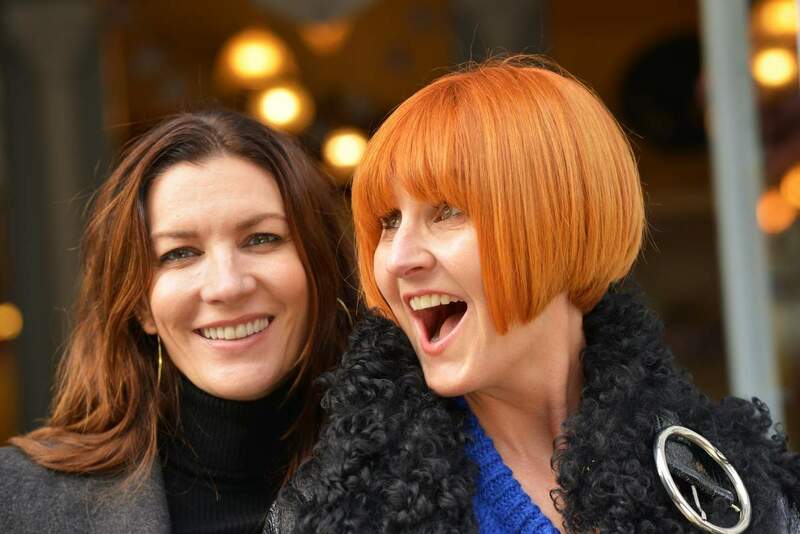 Mary Portas grew up in Watford as part of a large Irish family. Even from an early age, it was clear that she was instilled with a work ethic and drive that would propel her meteoric rise to the top of the retail world. Family is a huge priority for Mary, whose parents sadly passed away in her late teens. Mary has three children (Mylo and Verity in their twenties, andHoratio who is six) and lives in Primrose Hill with her wife MelanieRickey. Mary started her career on a management training scheme at Harrods, moved on to Topshop and Harvey Nichols, where she was creative director and a board member before the age of thirty. Her new book, Work Like a Woman, A manifesto for change, begins by describing her early career and the numerous challenges faced by women in a male-dominated corporate culture. She refers to the fact that she – as with so many women – felt compelled to adopt a more alpha approach to working life in order to navigate a patriarchal network. Mary’s recognition that there must be better (less old-fashioned, less linear) ways to run businesses was one of the reasons why she left the security of a well-paid job at Harvey Nichols in 1997 toset up her own retail agency, Yellow Door, which she rebranded as Portas in2013. Mary has developed a reputation as one of the world’s leading retail experts: she has been a senior adviser to the UK government as well as making numerous television series on the subject. On The Hill readers will be familiar with the vibrant Mary’s Living and Giving shop in Regent’s Park Road, the first of her 26 across the country and raising £15 million to date for Save The Children. “I want to get to a place where significant change can happen – that’s what motivates me,” Mary says. “After the last five years of disruption in politics and the arrogance from world leaders, I feel that I want to share my experiences and ideas so that success and the way we work are seen in less aggressive and hierarchical ways. We discuss what working life was like for Mary in the early part of her career. There are numerous examples in the book of how challenging things were for women in the hyper-competitive era of the 1980s. We don’t actually talk about Margaret Thatcher in our interview, but the fact that our first female prime minister felt compelled to adopt male characteristics to earn the respect of her predominantly male peers in politics and business is well documented. Mary refers in the book to the fact that Thatcher also felt it necessary to take on traditionally male behaviour. “The power was in the hands of the men,” she says. “Even though 75–80% of buying decisions today are made by women, we only have 10% women on retail boards. There were implicit codes. Things were very hierarchical, with power at the top. In order to reach the top you had to become alpha and play the game. Most women just didn’t want to. It was exhausting. Mary has been implementing the new ways of working that she describes in the book with great success at Portas. “Collaboration means not just ‘me’ and ‘I’, it’s ‘us’ – so that everyone feels part of it,” she says. “Everyone is recognised, so that it’s not just one individual taking the credit. Everyone is hired for a reason and they bring something valuable to the team; we have an open-plan office that encourages this.” It’s clear that Mary genuinely values the opinions and input of all of her colleagues, regardless of their age or seniority. Portas has established a ‘Sunshine Committee’ made up of juniors in the business who regularly put forward suggestions about what they think the office needs to ensure continuous improvement. Although some positive shifts are happening in the business world, there is still a long way to go. Mary says that it will take her 22-year-old daughter Verity until she retires to achieve pay parity with men. She believes that we also need significant policy change from the UK government to support women at work. “Governments have only worried about economic growth, not happiness,” she says. Mary describes having children as ‘the elephant in the room’ when it comes to equality for women at work. The new book details the huge economic opportunity that a more progressive commitment to paternity leave and shared parenting could unlock, by allowing more women to continue their careers. A lack of affordable childcare is another key area that Mary believes needs to be addressed (on average childcare in England is more than four times as expensive as it is in Denmark). Primrose Hill is fortunate to have a passionate, dynamic resident playing such an active role in our local community. 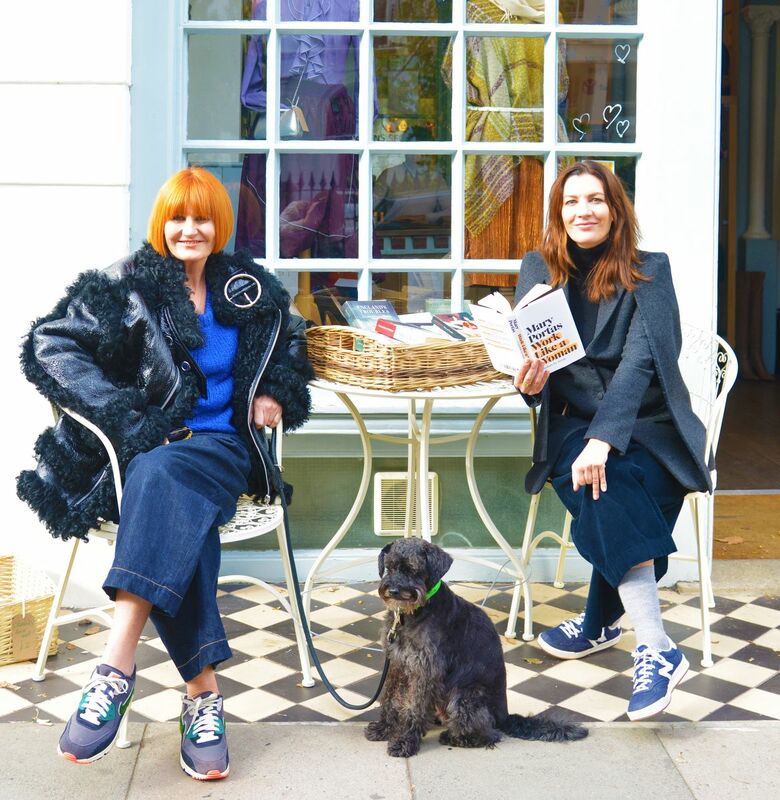 Mary Portas is looking to change the world radically for the better, and her passion and ideas may well play a big part in doing just that.